1st – 30th of April – Sofia Development Association makes a distribution campaign of infographics - in Sofia City Library, Sofia University and in the regional administrations of the Sofia Municipality. 3rd of April – ETP Slovakia introduces 4 posters/infographics online. 10th –to 16th of April - ETP Slovakia conducts offline distribution of posters in the City hall, libraries, local transportation, NGOs focused on migration and integration, local government offices, cultural points “Výmenníky”/kino Úsmev/Tabačka, information centres and universities located in Kosice. 4th of April - Centre for Peace, Osijek presents online old civilisations from immigrants’ area through architecture and history. The presentation consists of production of viral material with suitable photos of architectural structure and description with historic info. 22nd of April – Sofia Development Association conducts a workshop with students from secondary schools ideas for a start-up business that could help foreigners in Sofia. 23rd of April - Risk Monitor representatives will take part in the casting call for the selection of migrants who will tell their good and bad stories about the life of a TCN in Bulgaria. RM has commissioned Pink Noise Production Ltd. the production of the awareness storytelling video on TCN integration issues. 25th of April - Integration Centre Prague organizes an official opening of the PhotoVoice audio-visual exhibition as a part of the ICP Open Doors Day. The exhibition introduces the way people living in Prague (both Czechs and foreigners) see and experience integration. It displays photos with comments which the participants submitted as a part of the PhotoVoice research activity as well as audio interviews through which the participants share their personal ideas, views and experience with living in the multicultural Prague. The exhibition gets promoted both before and after the opening through FB/INSTAGRAM posts which include some of the photos and interesting comments of the participants. The participants have actively participated in preparation as well as realisation of the event. 25th of April - Centre for Peace, Osijek presents simple recipes from Arab countries or other countries with immigrants such as Barazek cookies by posting them on social media. Each recipe will be presented by step by step photo and description. 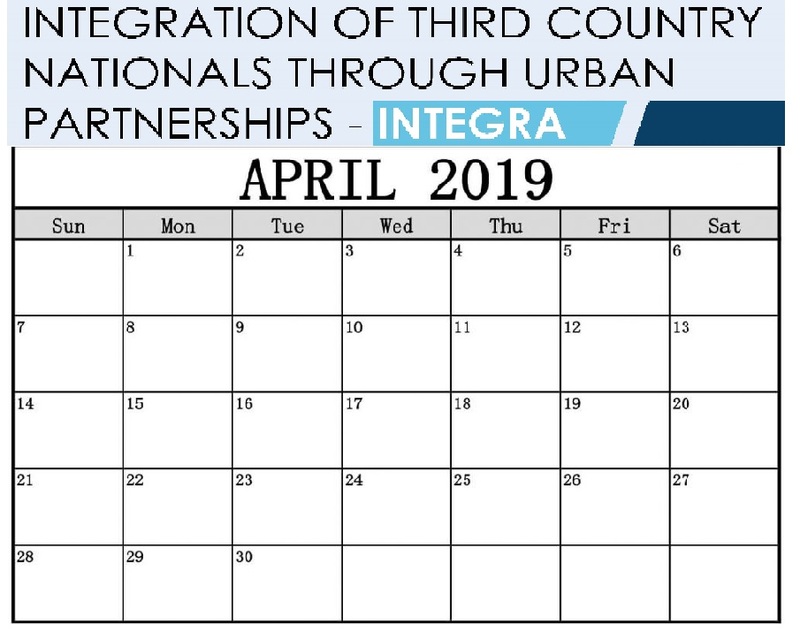 During intensive work in 2018 ETP Slovakia - Center for Sustainable Development carried out an audit of the city of Kosice in the area of integration of TCN and in a broad partnership created the City Integration Agenda. In 2019 we will focus on the creative part of the project. It is connected with the communication campaign towards the public, including TCN living in Košice. The campaign also includes advocacy activities towards Košice official representatives to make the City Integration Agenda - the first comprehensive material of this subject - a living material, a basis which local municipality can build its action plans on. 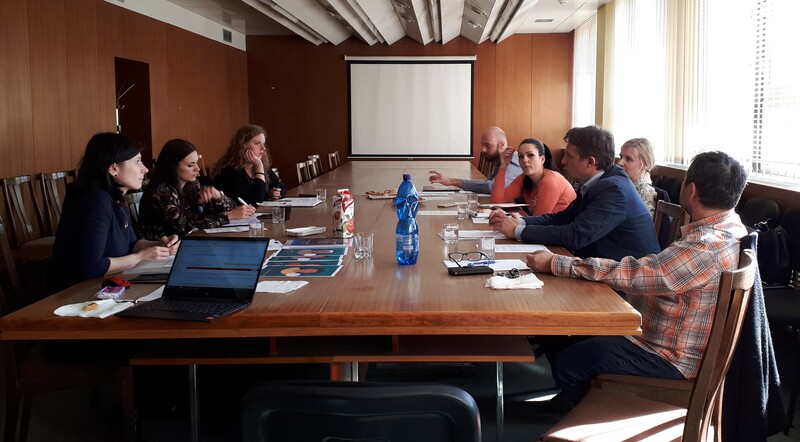 On March 27, 2019, we organized a stakeholders meeting at the Municipality Office in Košice. Representatives of the local authorities, NGOs, Slovak Academy of Sciences and marketing agency contributed to the concept of communication and advocacy campaign. The communication campaign will follow the message we introduced in January at IntegRare! Colourful Life - Diverse Košice public event. We are convinced that the stories of individuals and the stories of joining and creating local communities are both inspiring and understandable. We will present them through local media, locally popular events, online social networks and creative materials that will not only provide information but also artistic value. At the same time, we want to help create an information package (both online and offline) for TCN coming to the city. They bring the know-how, experience and desire to get involved in the city's life. Making their first steps easier will strengthen also their effective integration into local community. We enjoy joining people from different worlds who live together in one city.